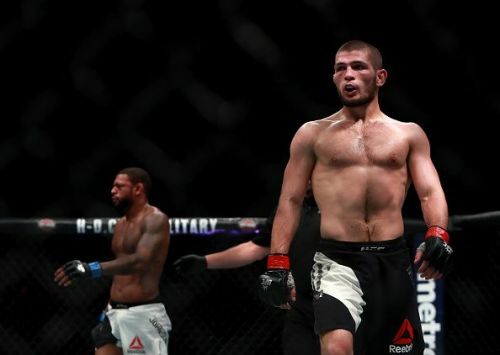 How Good Is Khabib Nurmagomedov? Khabib Nurmagomedov, the UFC lightweight champion defends his belt for the first time since winning the strap against Al Iaquinta. Nurmagomedov is defending, not just against any opponent, but against the most famous MMA star and former lightweight champion, Conor McGregor. McGregor returns to the cage after tw years away from the sport, in which time he has become a multi-millionaire, having faced arguably the greatest boxer on earth, Floyd Mayweather. While McGregor was away, honing his boxing skills, Nurmagomedov went about climbing up the rankings to become one of the most feared fighters in the UFC. Just how good is Khabib? Well, the short answer is very good! However, let us look into Khabib a bit more in depth. Nurmagomedov hails from Dagestan, a Russian Republic. A tough area of the world which has seen the occasional outbreak of separatism and ethnic tension. Ruled direct from Russia since February 2018 after the Dagestan government was dissolved in a major corruption investigation. Since 2000, there has been a low-level guerrilla war running, hundreds of lives have been lost. Nurmagomedov, trained by his father Abdulmanap, first started training in judo and wrestling when he was six years old, common amongst children in Dagestan. There is footage of a young Khabib wrestling with a bear doing the rounds on the internet. He then moved into combat sambo. From combat sambo the next step was MMA, Nurmagomedov racked up an impressive 16-0 record in the regional circuits throughout Russia and Ukraine which then saw the UFC come calling. It's clear to see Nurmagomedov's main strength is when he utilizes his wrestling skills, which most people would agree to rank among the best in all of UFC. 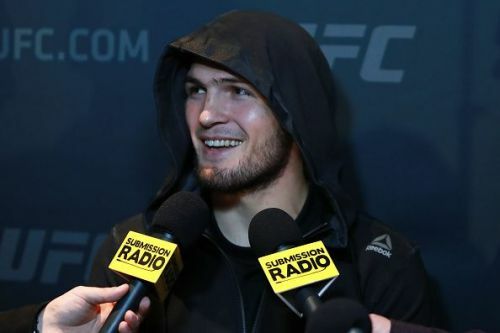 Since signing with the UFC in 2011, Khabib has fought ten times, however, he has only submitted two opponents, won by ground and pound twice, the rest have been unanimous decisions. An air of invincibility had started being given to Nurmagomedov however in two of his past three fights, there have been times when that invincibility has shown signs of weakness. Against Michael Johnson, Khabib won by Kimura in round three but Johnson was able to land several strikes in the first round. 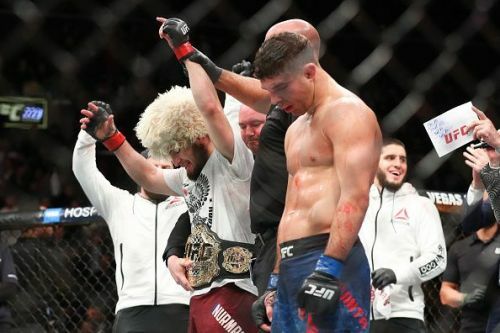 In his last fight when he won the title, against last-minute replacement, Al Iaquinta, everyone expected Khabib to have the fight over early, however, 'Raging' Al was able to go the distance and again landed a couple of shots. Although both fights were won convincingly in the end, it's clear his stand up is not on a par to his ground game, would a top-level striker like McGregor be able to capitalise on this? Time will tell. If Khabib beats McGregor then we could say he legitimately is one of the best, however looking back over his UFC career so far, some of the opponents haven't been the top tier, would you place Michael Johnson and Al Iaquinta in the top tier? I doubt it. Then names appear like Darrell Horcher, Abel Trujillo, Gleison Tibau and Kamal Shalorus, not exactly top-ranked opponents. he went the distance with five of the guys mentioned. The two stand out opponents he has fought have been Rafael Dos Anjos and Edson Barboza, in which Nurmagomedov won convincingly, in the Barboza fight he emphatically won, ground and pounding Barboza repeatedly. Are any of the names mentioned on a par with Conor McGregor, I would say no. There is no doubt McGregor is weak on the ground, however, McGregor is better than Khabib in the striking department. So it will be an interesting watch. As I said at the start, very good however he is not the invincible fighter that people would have you believe. He has struggled with weight cuts over the years, which could hamper his preparations, he has gone the distance more often than people would expect, he has shown he can be caught by punches. He does have great wrestling skills and when he has hold of someone, it's hard for them to break free. If he beats McGregor convincingly then, without a doubt, he is one of the best. MMA News: Conor McGregor ‘causing trouble’ while Khabib Nurmagomedov was fighting at UFC 223?